Sometimes, it’s fine to share your faith quietly, discreetly. Other times, you want to go big and celebrate in style. When Justinian I of the Byzantine Empire decided to build a church in Constantinople in 532 A.D., he went big. The Hagia Sophia was the largest church in the Eastern Roman Empire, a construction marvel famed for its many domes. It still stands today, more than 1,400 years later, celebrated as one of the world’s great wonders of historical religious architecture. 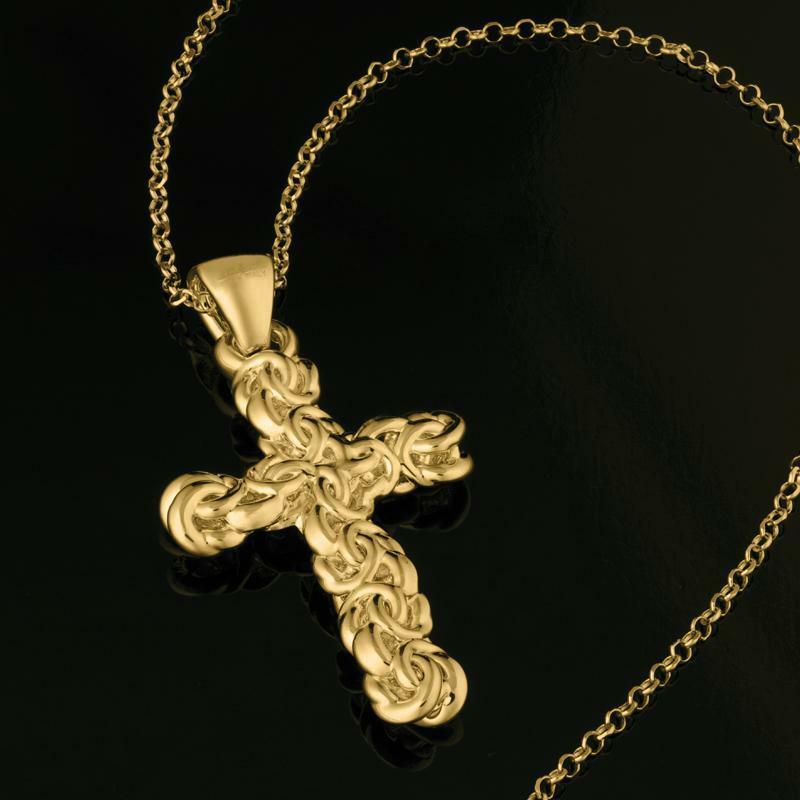 With the Justinian Cross Pendant, we honor the great Emperor’s commitment to celebrating his faith in style by offering you the opportunity to do the same. The artisans of the Gold Justinian Cross Pendant have expertly formed an elaborate, Byzantine pattern that was pioneered in the great city of Constantinople during the first age of the Hagia Sophia. This stunning piece is covered in 14K Italian gold and is reinforced with memory core for superior durability. The Justinian Cross Pendant is a lot more affordable than a major construction project, but will serve as a personal monument to the power of your conviction.